Dr. David Albin has performed over 12,000 hernia surgeries. He is certified by the American Board of General Surgery, a fellow of the American College of Surgeons and a Qualified Medical Examiner. Dr. Albin completed his internship at the Downstate Medical Center before moving to California and completing his residency in surgery at King/Drew UCLA Medical Center. Dr. Albin started his general surgical practice in Los Angeles, California in 1987. As a highly qualified trauma surgeon he remained affiliated with the King/Drew UCLA Medical Center where he worked for several years as a team leader in the general surgical residency program. He is truly the best in his field and in this capacity he was able to teach other surgeons the principles of surgery. Dr. Albin, as a hernia doctor, determined to refine his surgical techniques, became sub-specialized in the field of herniology. “It is easy to know a little about a lot of things but to know everything is almost impossible.” It was this ideology that brought Dr. Albin to his present field as one of the few premier experts in herniology. 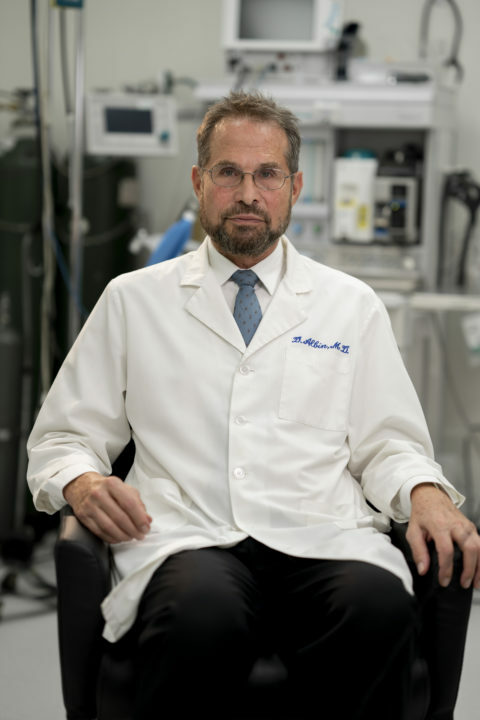 Dr. Albin has devoted his entire surgical practice to hernia surgical repair, and in doing so has become nearly flawless in his surgical technique. He is respected worldwide as the hernia doctor. When it comes to hernia surgery, he is simply the best. Dr. Albin was invited as a guest lecturer at the Annual American College of Surgeons meeting on January 19, 2013. At the event his presentation “The Albin Technique” was highly regarded by his fellow surgeons. Dr. Albin attends national and international hernia surgical meetings and reviews medical journals as a means of staying informed with advancements in this sub-specialty because feels it is important to remain abreast with the recent changes in the field of hernia surgery and repair. In addition to being a premier hernia surgeon, he is a teacher, author, and medical legal expert in the field of hernia repair. Dr. Albin is known throughout Los Angeles County as the surgeon to see for hernia repair. He is the hernia doctor for the Los Angeles Police Department, Sheriff Department, California Highway Patrol, Los Angeles City and County Fire Departments and the Los Angeles Unified School District. Athletes and hernia patients from throughout California, the United States and the world seek Dr. Albin for hernia surgery. He is the most sought out hernia doctor in the world for professional athletes. As an expert in the field, Dr. David Albin lectures to General Surgeons at the American College of Surgeons about his Albin tension free hernia technique. Dr. Albin, the hernia doctor, has published a bestselling hernia book, called The Hernia Solution. This book is a comprehensive guide to hernia repair that help patients determine how to best take care of their hernia. Dr. David Albin emphasizes his focus on healthy body and healthy mind to optimal post-operative recovery. He was the featured hernia doctor on the cover of OC Health. He is an accomplished and dedicated triathlete. He has completed 16 Ironman triathlons.